I needed a salad to bring to a cook-out this past weekend and I was sort of stumped on what to make. I briefly considered making my Barbecue Chicken Salad or my Chicken and Bacon Chopped Salad, but quickly decided I was in the mood for something new. I wanted a healthier twist on a taco salad and I wanted to keep it simple. 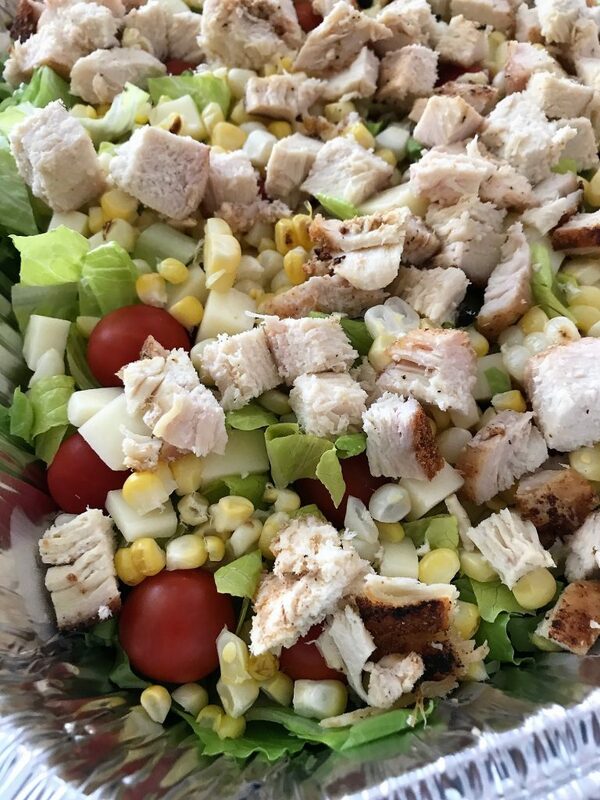 I came up with this Grilled Chicken Taco Salad and it was delicious! I was happy that I was able to use my Homemade Taco seasoning in the recipe as well. Give this recipe a try at your next summer BBQ – there are not many left in the season! 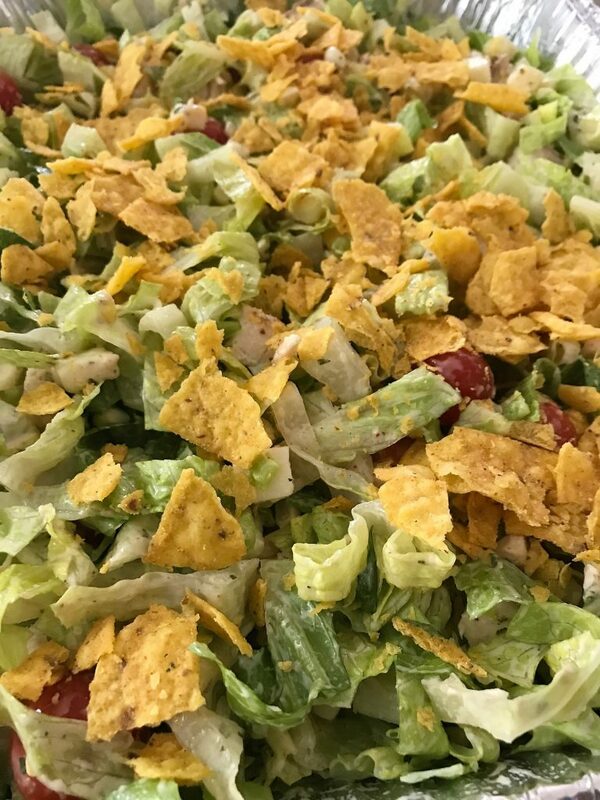 If Taco Salad isn’t your thing, try one of the other two salads I mentioned above – you’re bound to find one that you like! In a small bowl combine cumin, paprika, garlic powder, oregano, onions, salt and pepper until well combined. Place half of the spice mixture into a blender along with salsa, dressing, cilantro and lime juice. Blend until smooth. Keep refrigerated until ready to use. Season the chicken on both sides with the remaining spice mixture. 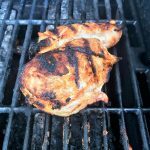 Place chicken and corn on the grill. 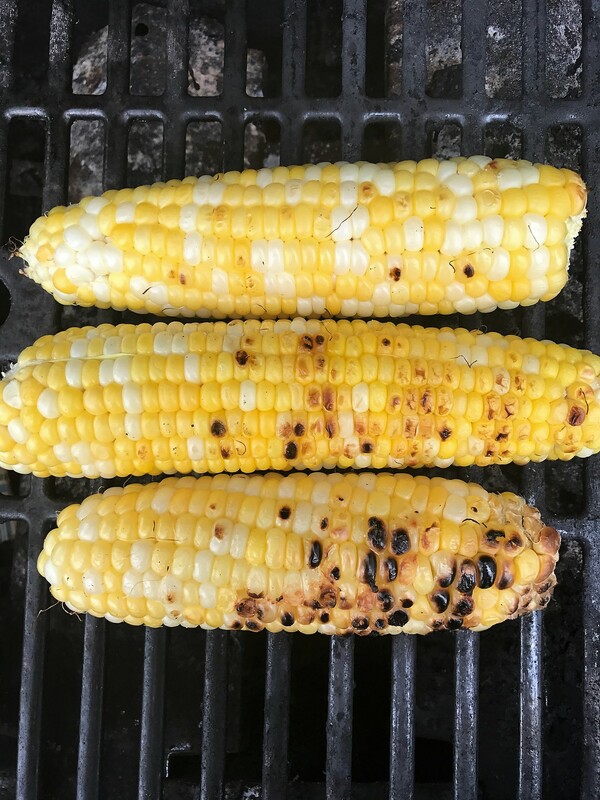 Grill both for 15 – 20 minutes, turning corn often. 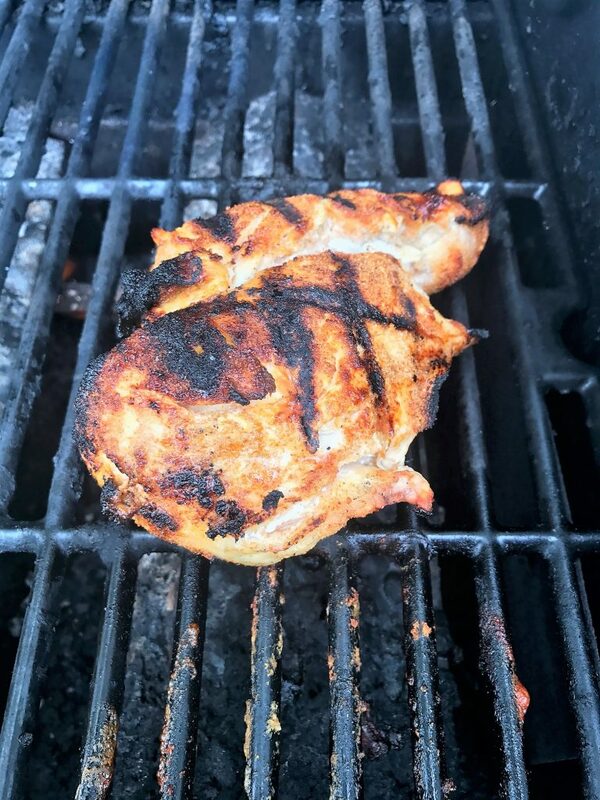 Flip chicken once halfway through cooking. Grill until internal temperature of chicken reaches 160 degrees. Remove corn and chicken from the grill and cover both loosely in foil. Let rest while you assemble the rest of the salad. Toss lettuce with tomatoes and cheese. Once the corn is cool enough to handle, stand upright on a cutting board. With a sharp knife, cut the kernels off from top to bottom. 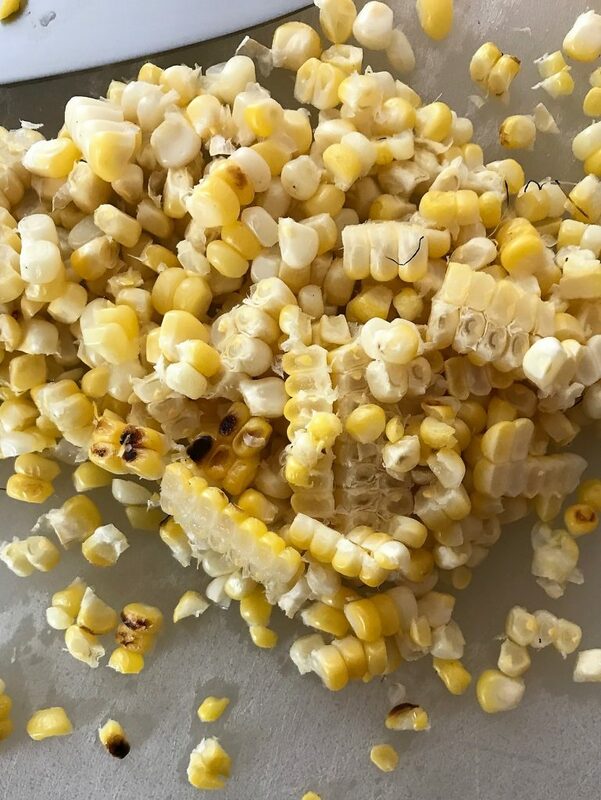 Add corn to salad. Dice the chicken and add to salad. Toss salad with dressing and garnish with several handfuls of crushed tortilla strips. Serve immediately.